Patrick Henry McCarren (1847-1909) was born in East Cambridge, Massachusetts to a family of Irish immigrants. He moved to Williamsburgh (now part of Brooklyn) where he attended school before learning the cooper’s trade and working in sugar refineries along the waterfront. McCarren rose through the ranks of the Brooklyn Democratic Party to win election to the State Assembly in 1881 and the State Senate in 1889. Frequently caricatured and attacked by the New York press, his reputation as a friend of trusts made him an unpopular figure as the Populist movement gained strength in the state. Besides politics, his chief passion was gambling, particularly at the racetrack. In 1909, the year of McCarren’s death, the Board of Aldermen named this park in his memory. The site, previously known as Greenpoint Park, was divided into four blocks by street railroad lines. All four parcels were acquired by the City of New York between 1903 and 1905. Two playgrounds with outdoor gymnastic apparatus were developed almost immediately: one for boys at the corner of Bedford and North 14th Streets and one for girls at the corner of Manhattan and Driggs Avenues. 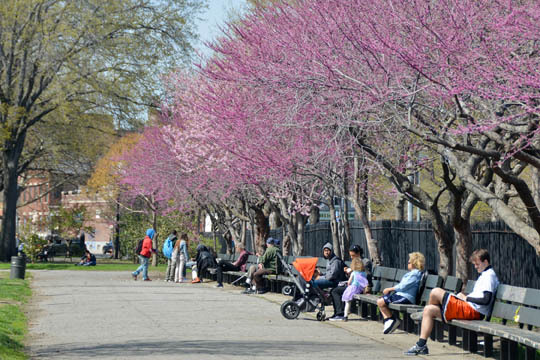 Three developments in the 1910s transformed McCarren Park into a community showplace. The park was supplied with state-of-the-art athletic facilities, including a ¼-mile track, a field that was adapted for use as an ice rink in winter, tennis courts, a platform for dancing, play equipment for small children, and fields for baseball, football, and soccer. In 1914 Brooklyn’s first children’s farm garden opened on the site. During the first season 240 “little farmers” tended 120 8’ x 4’ plots and nurtured radishes, beets, carrots, beans, onions, lettuce, and corn. By 1915 the “Farm House” shelter at the garden was put into use as a social center where clubs and church groups met. McCarren Pool was the eighth of eleven giant pools built by the Works Progress Administration to open during the summer of 1936. Mayor Fiorello LaGuardia attended the dedication on July 31, 1936. With an original capacity for 6800 swimmers, the pool served as the summertime social hub for Greenpoint and Williamsburg. The building’s vast scale and dramatic arches, designed by Aymar Embury II, typify the expansive and heroic spirit of New Deal architecture. The pool was closed in 1984 but in 2005 the site was resurrected as a performance space, first through a modern-dance performance by Noemie Lafrance, and subsequently as a world-renowned music venue that saw many high-profile concerts until the summer of 2008, when Parks began work to renovate the pool. Several areas within and around McCarren Park are named in memory of heroes who laid down their lives for their people. These include T. Raymond Nulty Square (for a World War I soldier), Patrolman Stephen Gilroy Field (for a police officer killed in the line of duty), and Father Jerzy Popieluzsko Square (for a Polish priest martyred by the Communists). 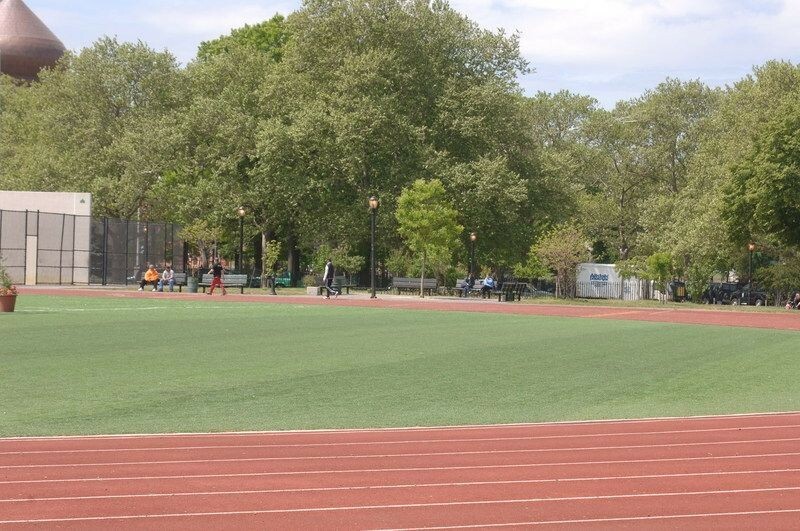 For generations, neighborhood residents and park advocacy groups have mobilized community support for the maintenance and improvement of McCarren Park. 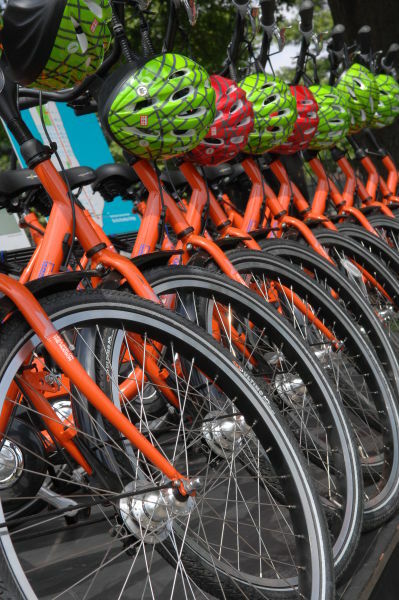 Their initiatives have resulted in many improvements and increased activities, and have sustained McCarren Park as a social and recreational hub for the community. 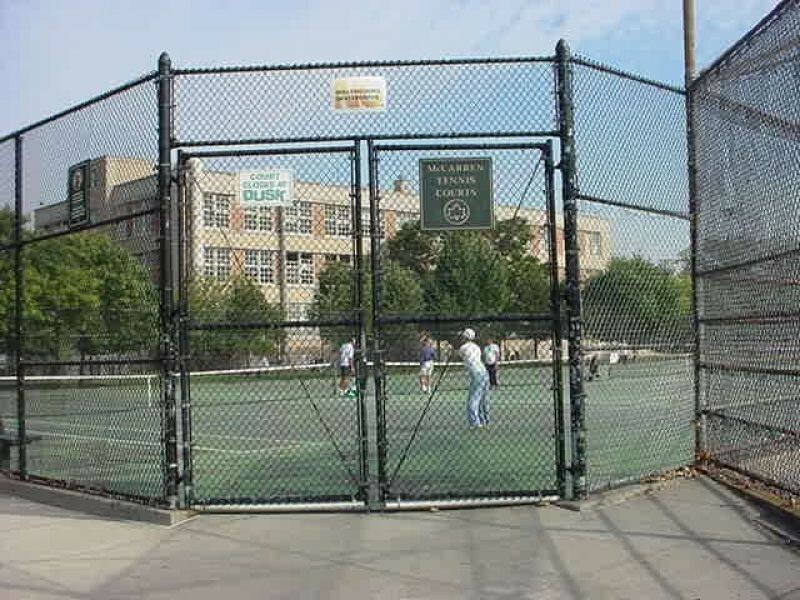 In 2001 McCarren Park’s ballfield was renovated at a cost of $560,000 and the handball and boccie courts were updated at a cost of $601,000. A $1.7 million project in 2006 renovated the park’s well used running track and soccer field, and new lighting was added in 2008 at a cost of $1.1 million. 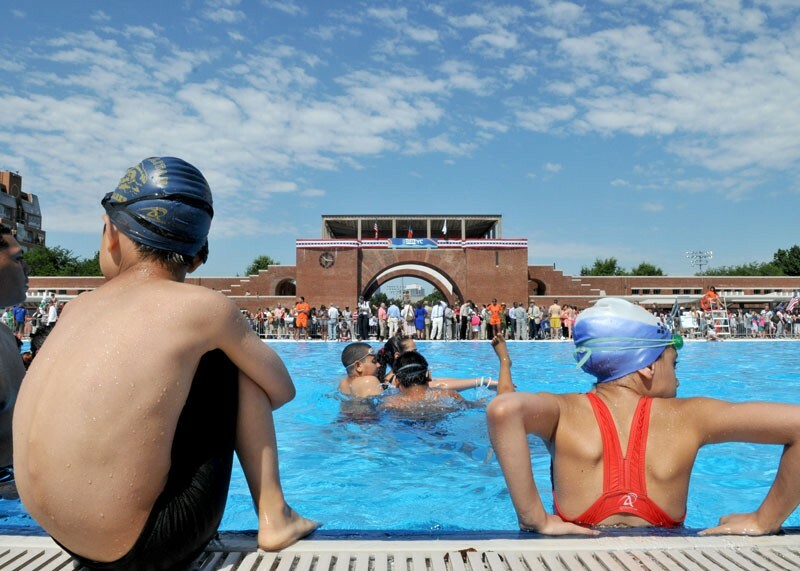 In addition, more than $50 million has been allocated to McCarren Pool, part of Mayor Michael R. Bloomberg’s ambitious PlaNYC blueprint for future development in the city, which will fund the renovation of the pool for swimming, the construction of a year-round recreation center, and the preservation and restoration of the historic bathhouse building and entry arch. The design by Rogers Marvel Architects also includes a skate park and ice rink, promising to turn this once dilapidated site into one of the most impressive in the city.